In 1994, philatelic agent Mr Paolo de Rosa initiated an annual conference for the small postal administrations, which he represented, in order to discuss various philatelic matters of interest specifically in relation to the smaller postal administrations. 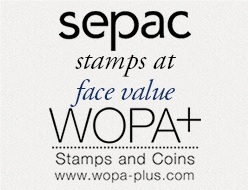 Following Paolo de Rosa selling his philatelic agency to Afinsa, the postal administrations created their own annual SEPAC conference. The annual SEPAC conference of the postal administrations commenced in 1999 and was represented by delegates from the same postal administrations which had attended the De Rosa conference.